Marvel proudly invites one and all to experience the World Premiere of Marvel's Captain America: Civil War, LIVE from Hollywood! On April 12, 2016 at 8:30 p.m. ET/5:30 p.m. PT as your favorite stars arrive at the legendary Dolby Theatre! Sponsored by Comicave Studios, this LIVE event will get you up close and personal with the cast of Marvel's Captain America: Civil War like no one else can! While you’re watching you can also tweet using the hashtags #CaptainAmericaPremiere, follow @CaptainAmerica on Twitter and like Marvel’s Captain America on Facebook at Facebook.com/CaptainAmerica. 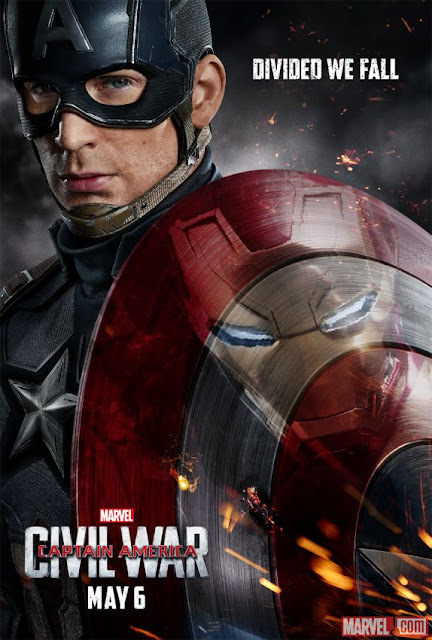 Marvel's Captain America: Civil War opens in U.S. theaters, May 6th!